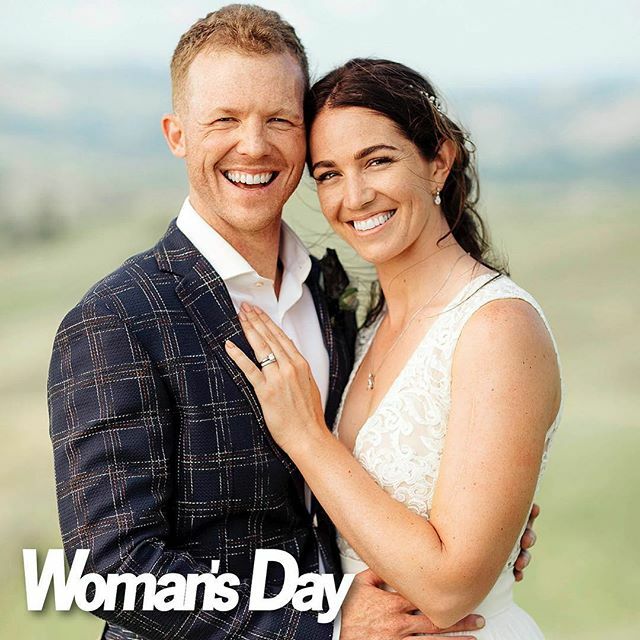 Silver medalist and BMX Champion, Sarah Walker married her soul mate, Vinnie Elliot, in a stunning ceremony at a private property in Cambridge. 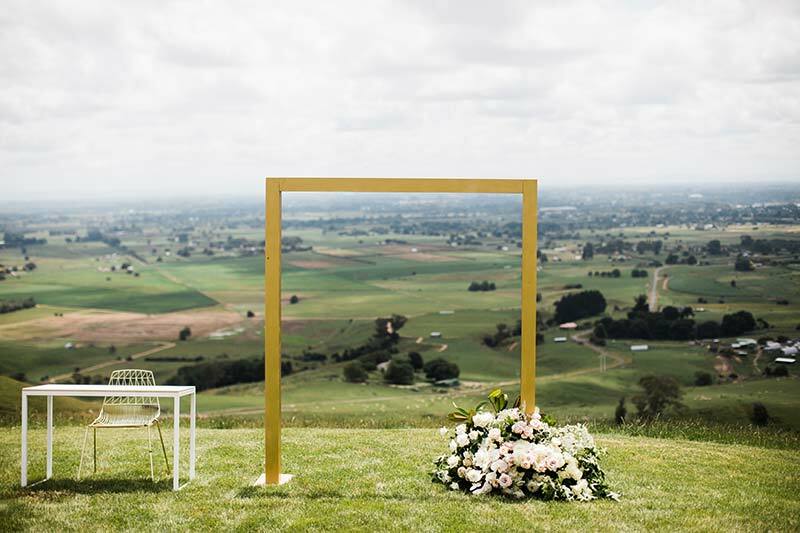 S + V’s choice of date for their wedding was thoughtful and deliberate, much like Vin’s well-planned proposal. 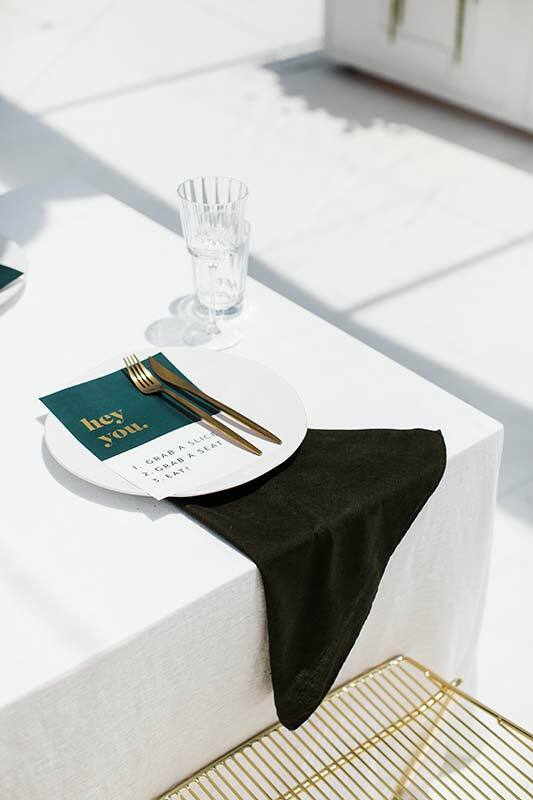 01.01.2019 was determined to be their special day #1 because it marked a new year, new goals and new opportunities. 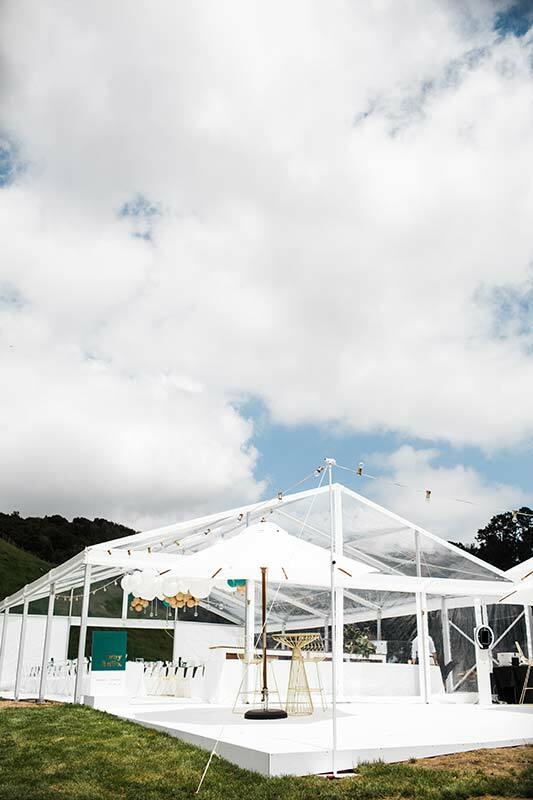 Their venue was equally well-planned and chosen for various reasons. 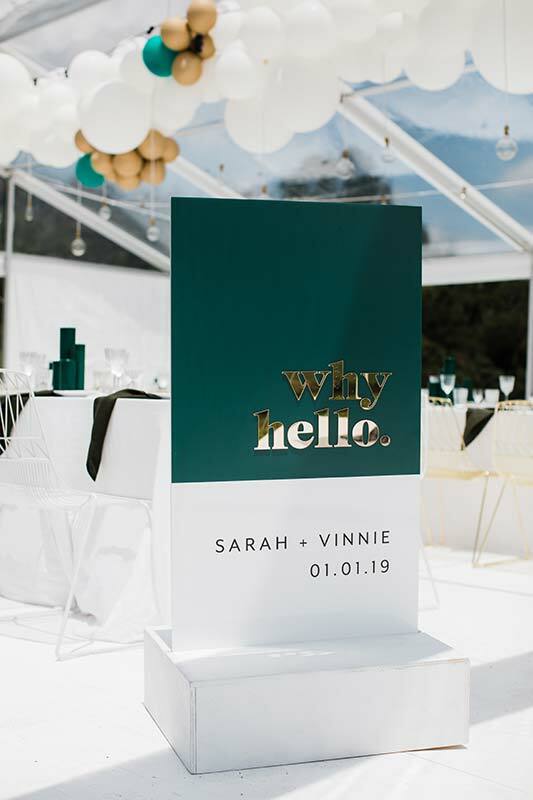 Both loving the outdoors, it was important for Sarah and Vin to get married amongst nature, surrounded by beautiful farmland and overlooking Cambridge. 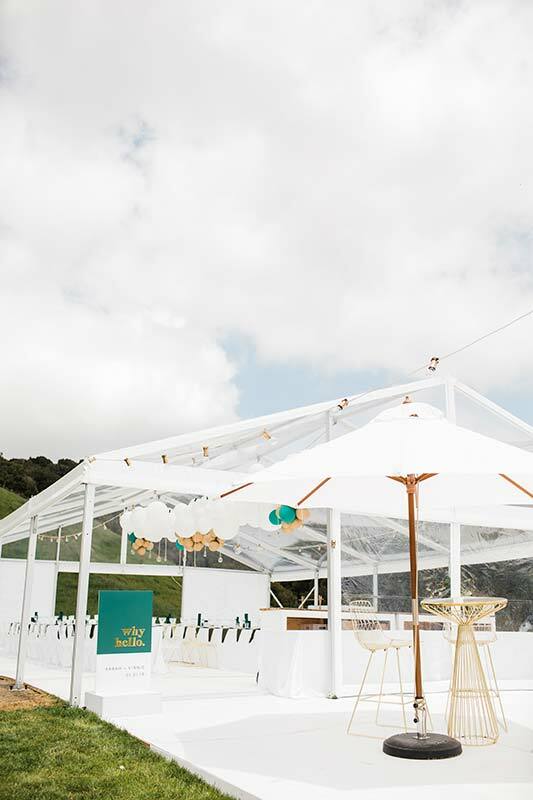 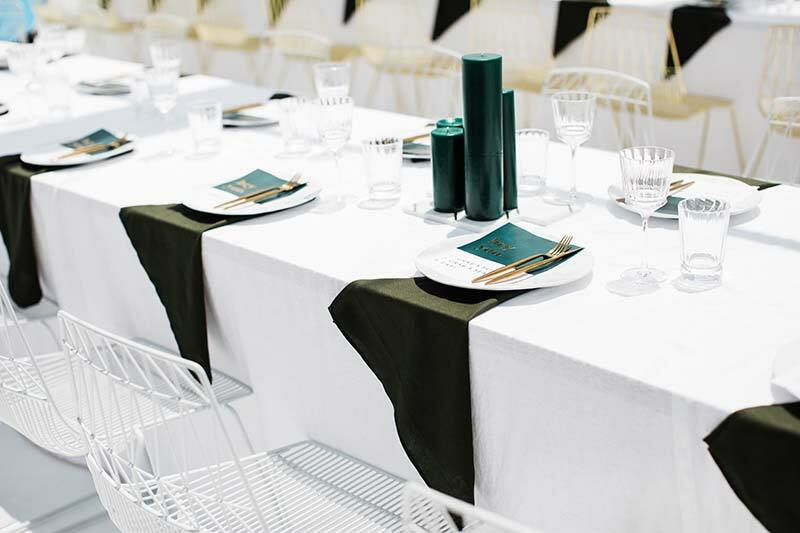 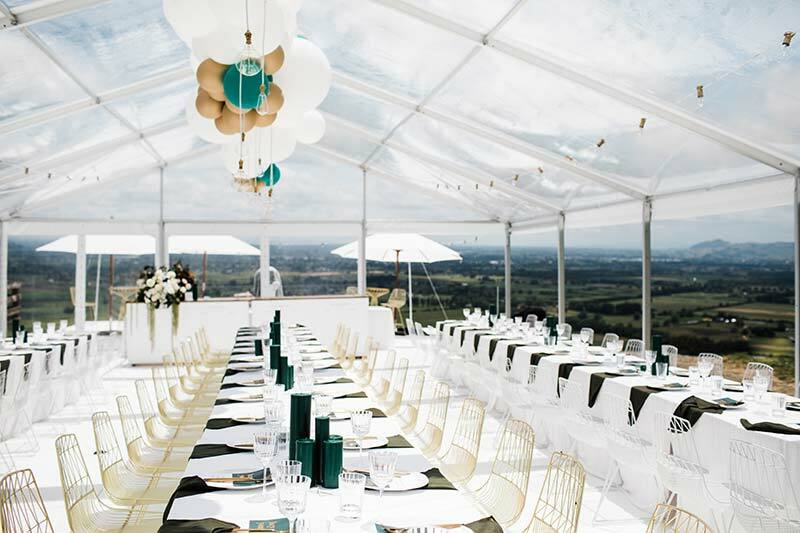 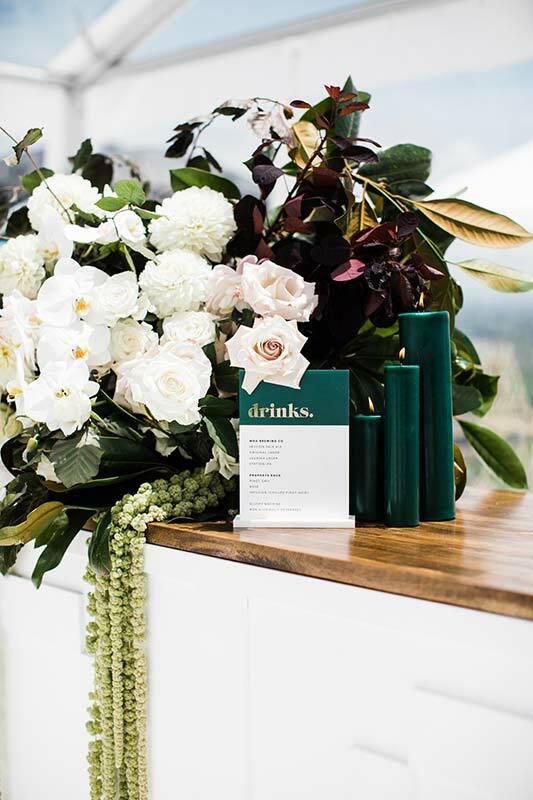 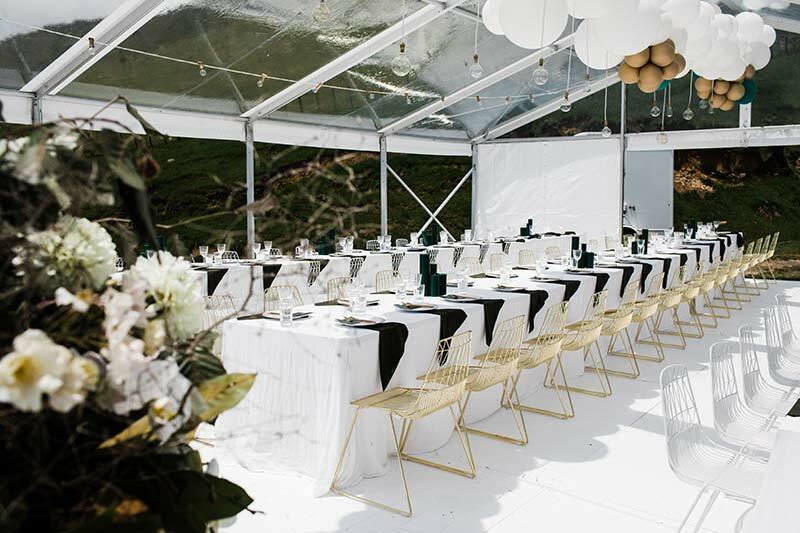 With guidance from P.S I Love You Events, Sarah and Vin reflected their natural venue in their styling, using tones of forest green with a large dance floor overlooking their panoramic views. 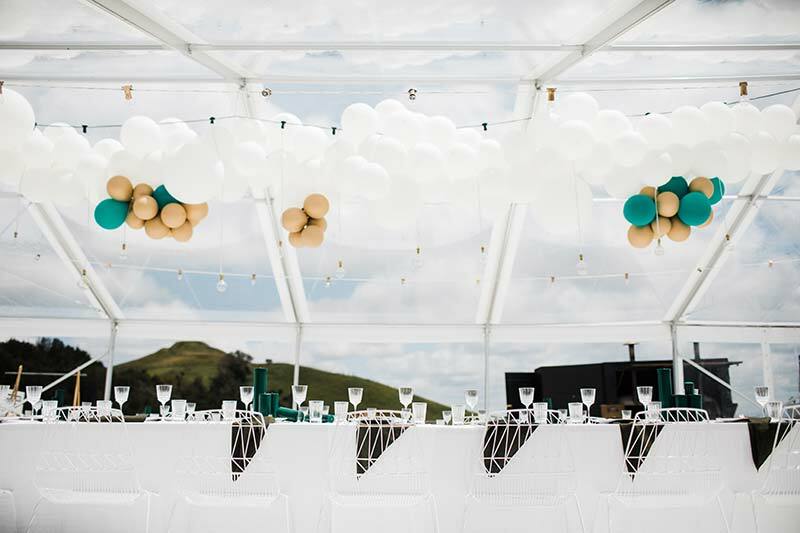 Table-to-floor linen tablecloths brought a touch of romance and elegance, while a huge balloon installation added a playful tone to their reception. 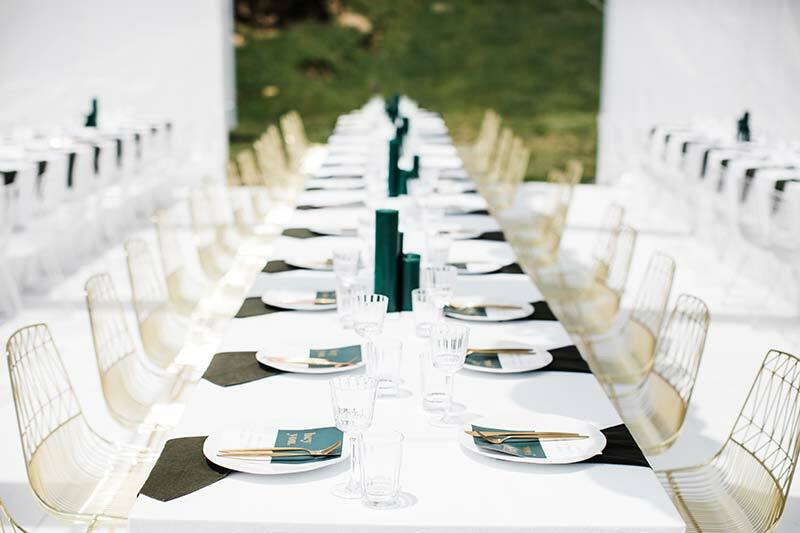 A well planned and beautiful day, that Twelve Tables were honoured to be a part of.